Disposable diapers are perhaps one of the most essential inventions to appear in the last century. They are more comfortable, they are aesthetic, and they save us the inconceivable burden of hand-washing dirty cloth diapers, just as our ancestors used to do. Having said all that, disposable diapers are also linked to the fact that today, more than ever before, we are facing tremendous struggles and difficulties when it comes to potty training. According to recent statistics, the average age for potty trained children is around 2.5-3 years. Some studies (sponsored by big diaper companies) claim that babies and toddlers do not have the developmental skill that allows to control their bodily secretions. That is, of course, not at all true. Today it is considered normal to wait for our children to be “ready.” Parents now postpone the potty training process until they feel the child is willing to participate. This very common approach, however, does not take into consideration the fact that babies actually do have the physical ability to control their own sphincters almost since the day they are born. By diapering them during these first few days, and by keeping them in diapers for the first years of their lives, we are essentially putting that mechanism to “sleep.” Statements such as “potty-train readiness” are completely invalid then, since all babies are essentially born ready. People mistakenly think of potty training as a developmental process, when in fact it is an educational one. Crawling, sitting and talking are developmental; the need for diapers is plainly cultural. Cultures in which the infants are raised diaperless have always existed throughout human history. In today’s Western culture, there are also some who stand by this diaperless approach as well. Of course, I am aware of how unrealistic this approach can seem to most parents, especially in this day and age. My recommendation for parents is to not wait beyond the age of 24 months, as I try to aim for potty training around the age of 18 months. That is because after that we begin to see the “terrible two’s” stage, in which the toddlers tend to become opinionated, rebellious and independent, and so our willingness to potty train them could potentially only upset them even more. They do not necessarily want us to change their now well established habits. This, of course, could and will lead to difficulties. Unfortunately delaying the potty training process is the source for all different kinds of problems. Yet there is another factor that is as important, and perhaps even more so: The educational approach in which parents tend to “flow with the child.” In its core, it is a misguided approach, especially when it comes to potty training. The role of the parent is not to flow with the child, but instead to be proactive and to lead the child: The parents are the responsible adults, they are the ones who are in charge of setting the educational goals for their children, and they are the only ones who are able to lead their children towards achieving these educational goals. Ultimately, it is only you, the parents, that can and should be proactive in the potty training process. It is your responsibility, exactly like every other educational process is your responsibility. You should not expect full cooperation from the child (even though cooperation is welcome.) Parents who are loving, warm, respectful and sensitive can and need to be, at the same time, the ones who are in charge, set rules and keep things in order. If, in that sense, the parents are the ones that have the hand on the wheel, it is completely possible to potty train at 18 month old in the course of a week. The truth is that the ones who need to be “ready” for the process, are the parents themselves. Parents who are willing and ready for potty training, will be able to see this process through, and will not back down when their child shows a slight resistance. The more you delay the potty training process, the more difficulties you could potentially face. That is since by the time we start training, the child will become more hesitant, as well as more suspicious of this new and unfamiliar process. The act of pooping will not be of any interest for a 12-18 months old as it will a 3 year old child, who is much more aware of his or her own body. These two things – postponing the potty training process, and an unauthoritative parental approach – are main factors behind many of the problems parents face: toilet anxiety, constipation, stool refusal, encopresis and more. By knowing how to potty train correctly, and by doing it on time, you are reducing the chance for these types of difficulties to occur. That is why in order to succeed in the potty training process, you must not wait for the child to be ready, but instead take on a more assertive and proactive approach, that will lead your child towards a diaper-free life. Success in potty training could lead the child to much more than just bodily control. It could teach the child the concept of delayed gratification, self-restraint, as well as empowering the child’s independence and his or hers self-image. If all those things are not enough, early potty training is also more hygenic, more economical and more ecological. Be confident and decisive. Remember not to expect your child to necessarily help you in the process. You took this task upon yourself, and so it is you who will spend the energy and the time to make sure it is done right. Take into account that accidents will occur. It could take a day or two until those go away, or a week or two, but it could also last a month or two. And when those mishaps happen (and they will) you must be able to clearly express to the child that this behaviour is unwelcome. However, do so without expressing any anger: don’t say “oh no, look what you did!,” yet also avoid saying things like “don’t worry, everything is fine.” What you could say is: “Look at that, you peed your pants. It’s wet. it doesn’t feel good. Next time when you want to pee, you will do it in the potty.” After making that point come across, you should go ahead and change the child’s underpants and pants. Follow your children, learn to ‘read’ them and learn to predict their urinating and pooping times. Every child has his or her habits. Try to notice their facial expressions, their body language. Don’t assume they would come to you and tell you “I need to pee.” Learn your child’s schedule, and if you noticed he/her hasn’t peed in a while, take him/her to the potty, no questions ask. As I mentioned before, it is very important to know how to be sensitive, yet authoritative, at the same time. Do not let your child’s fears (or caprices) and wants shape the dynamics of this process. If the child refuses to go in the potty, under no circumstance bring back the diaper. Do not give up on potty training your child even if the child shows signs of restraint. There is no need for lengthy explanations or exhausting persuasions: potty training is based on core principles of behavioural-cognitive psychology, and its success is determined by the proactivity and willpower of the parents themselves. 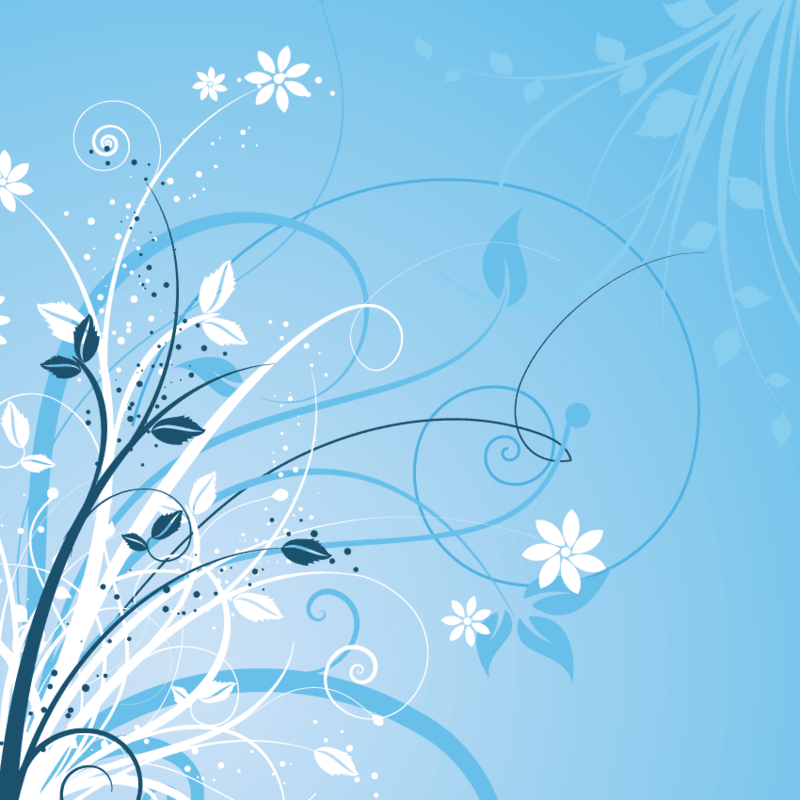 Daphna Tayar is a developmental and therapeutic educational consultant who consults and guide parents. Her renown results from this book and her regular column on YNET, the largest web site in Israel, branding her as a unique, fresh, and more reliable voice on the subject of toilet training. Daphna is a mother of four who now has the pleasure of seeing her grandchildren toilet training according to her method. 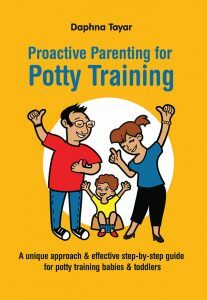 If you are in the throes of potty training, her “PROACTIVE PARENTING for POTTY TRAINING” book is just for you!